Mold texturing and design services. What's new? 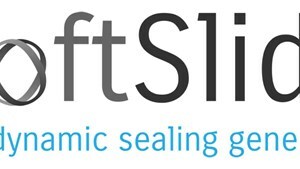 Keep yourself up-to-date with the news of ML Engraving: improvements in mold texturing; new services for the co-design of brand new surface textures; information about the Company and much more. At ML Engraving the development of increasingly high performing engraving techniques goes hand in hand with artistic research on design and fashion trends, which have an important impact in defining guidelines for designing a new product. This is because we feel that surface textures contribute on the same level as shapes and materials to defining its identity. 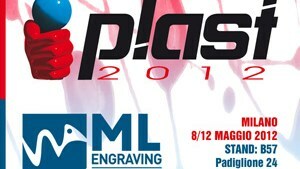 ML Engraving will attend to Plast 2018, the International Exhibition For Plastics and Rubber Industries. This year the fair joins The Innovation Alliance, a combination of 5 fairs dedicated to the industry of plastics. Come and see the advantages of laser texturing on your molds! 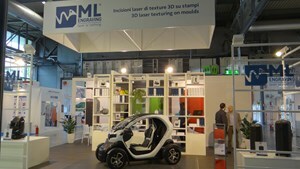 ML Engraving: hall 22 – stand 31C. New European projects have been launched in this intense 2017, which has seen ML Engraving participate in three international fairs and the conclusion of INFINITE. ML Engraving’s expertise in engraving techniques and its ability to face ever-new technical changes makes it the perfect partner for industrial projects focusing on Research and Development. The best of engraving techniques and digital services by ML Engraving waits for you at FAKUMA (Hall A6 – Stand 6212). The German fair closes the ML Engraving’s 2017 relay, consisting of 3 important events: MECSPE in Parma, FIP SOLUTION PLASTIQUE of Lyon and in closing FAKUMA in Friedrichshafen, the fair that in its 25th edition promises to be capable of astounding visitors with many developments. The most awaited fair of the year is just around the corner. We’re ready, are you? The follow-up phase of the fair MECSPE 2017 is currently taking place, but right now preparations are well underway for the coming event of June: the fair FIP SOLUTION PLASTIQUE of Lyon. ML ENGRAVING and its mold texturing services will participate for the first time in this fair, that will be particularly eventful because of its 30th anniversary. 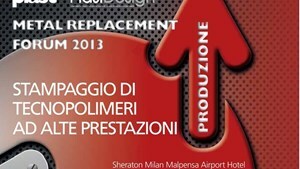 FIP SOLUTION PLASTIQUE is the ideal meeting point for designers, product brands and manufacturing world. 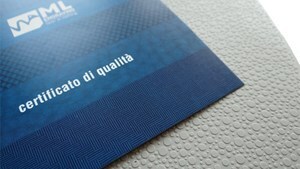 MECSPE, the Italian trade fair for the manufacturing industry is the first appointment to meet ML Engraving. It is a reference point for INDUSTRY 4.0. 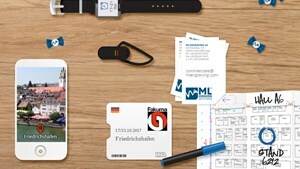 Innovating does not only mean introducing new engraving techniques to the market, but also promoting change. And that's what ML Engraving intends to do. Find out how. Come to MECSPE. 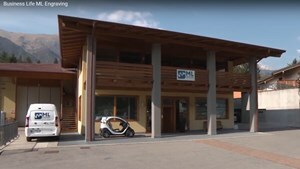 Look at the television special of Business Life dedicated to ML Engraving, broadcasted on Business 24 (channel 160 of the terrestrial digital). The company opened its doors and the 4 shareholders answered to the journalist Erika Mazza’s microphones. They presented the work process D.R.E.°-Design Rendering Engineering- and touched also on different topics: the exclusive Texture Collection, the funding program Horizon 2020, eco-sustainability and the digital services, offered by the Company. Turning the know-how of a company into a functional and elegant product capable of reflecting its current state of technology. With this goal, ML Engraving has created the Texture Collection, namely, the first catalogue of surface textures made with laser engraving. 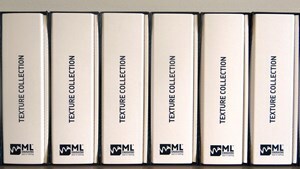 The catalogue includes the many different mold texturing techniques: from MLG - Micro Laser Grains, i.e. laser micro-engravings for soft touch effects to 3D laser engravings. The PLAST fair closed its doors on Saturday, the 9th May, announcing an important news related to the next edition: its anticipation to September 2017. ML Engraving presented itself during the fair as an already well-known reality, with a strong and recognizable identity, thanks to its eye-catching and completely renovated stand and to the exclusive 2D and 3D new texture collection. The sensations collected during the five days of the fair found confirmation according to the numbers: a quality audience, informed and ready to start with laser projects. ML Engraving overshoots thanks to its cutting-edge engraving technology. 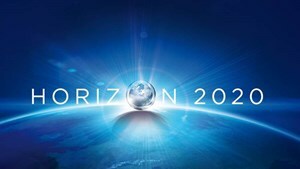 The project "Infinite" of our company is one of the 20 Italian projects approved by the European Commission in occasion of the public competition Horizon 2020. The selected projects will have to overcome an additional selection, in order to obtain a non repayable financing for their realisation. The satisfaction is really great for the team, that developed the project according to the restrictive parameters of the competition. Preservation of the territory is achieved also through sustainable corporate policies. Eco-friendliness is one of the most debated topics in recent years and helped raise awareness in the industry concerning a more rational use of resources and the reduction of waste. ML Engraving is a staunch advocate of corporate sustainability and since 2013 has been employing only certified renewable sources for producing electricity. 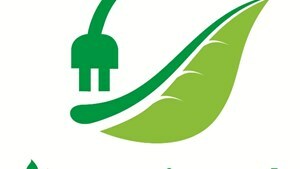 Learn what to do and become a more sustainable company. ML Engraving obtains new recognition for its exclusive surface textures and embossing. The company from Bergamo has released four new textures specifically designed for the soles of protective footwear. These embossed textures have been certified by CIMAC (Italian Centre for Footwear Application Materials) according to standards EN ISO 20345:2011, EN ISO 20346:2004 and EN ISO 20347:2012, proof to the actual performance improvement of non-slip soles. Check out the details in the article. 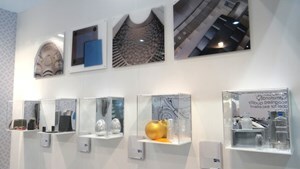 K tradeshow in Düsseldorf confirmed itself worldwide as the most important fair for plastic and rubber materials. The number of exhibitors increased considerably and visitors reached the number of three years ago. This was the first participation for ML Engraving, that presented itself and its news through a completely renowned stand, that certainly contributed to give prominence to the exclusive textures for molds. The jewel in the crown was Twizy, the electrical vehicle of Renault, for which ML Engraving realized the geometrical textures for interior and exterior plastic components (dashboard, steering wheel, seats and bumpers). Read our report from the fair and discover numbers, curious things and images from the trade show. Next appointment: K 2016. 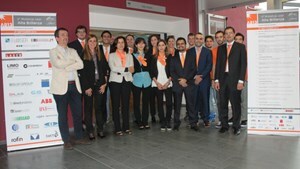 The 27th September took place AB13, the 6° Workshop Laser for High Brilliance. The event was featured by a thick schedule of relations by the main international experts on laser technology. In the afternoon Angelo Petrogalli, CEO of DS4 Laser Technology and CTO of Cactooos – The Engraving Network, held a relation during the Laser Micro Processing session, where he introduced the service of mould texturing offered by the group. The event ended up with a visit to SITEC laboratory. ML Engraving is always looking for new inspirations, ideas and influences to help it create textures that meet the latest trends of contemporary design. What better opportunity than the Generation Modification Conference sponsored by Chris Lefteri Design at the London Design Festival 2013? 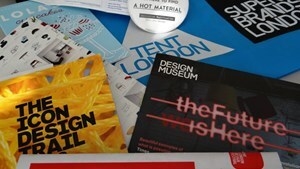 Read the report of the Conference and interesting facts about design made in UK. 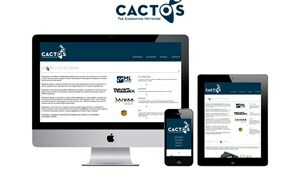 The mold texturing services of Cactooos – The Engraving Network took part to the Metal Replacement Forum, a 2-days event dedicated to the replacement of metal alloys with high performance polymers . 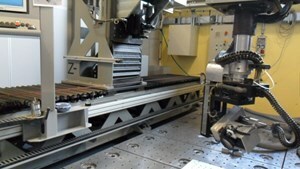 Andrea Lodetti, CEO of ML Engraving and Eng. Amadou Niang, founder of Jockoo held a speech referred to the importance of surface textures in order to improve the aesthetic and functional features of the products. Read the article for the resume of the speech. Cactooos - The Engraving Network, company business network, that is gaining more and more approval among the most important European style centers thanks to its exclusive engraving techniques, took part to the conference organized by Compagnia dello Opere during the Rimini Meeting, which took place from the 18.th till the 24.th of August. The Pavilion C1 was theater of the conference series "With the bravery of the realism, CDO meets up with...", that dealt with burning actual issues: innovation, internationalisation, sustainable development and company networks. 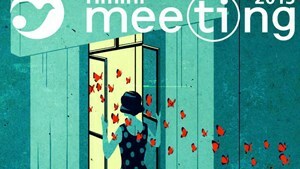 This last was the theme about which Andrea Lodetti, CEO of ML Engraving and president of Cactooos - The Engraving Network spoke during the Meeting. ML Engraving surface textures have been voted by a jury of experts, that awarded them with the esteemed 'Certificate for Excellence in Material Development'. 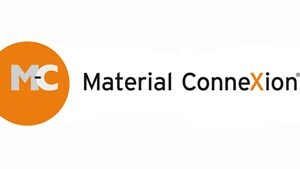 They are now part of the worldwide Material Library of Material ConneXion, in the category “Process”. ML Engraving is proud of this acknowledgment and states that samples of 2D/3D textures and Micro Laser Grains are now displayed in each of the 11 locations of the network of consultancy. ML Engraving, Jockoo, Nova Tex e Ds4 Technology launch Cactooos – The Engraving Network, a network that collects the best Companies for projecting and manufacturing surface textures on molds, that determine the aesthetic appeal of plastic goods.Cactooos means competitiveness, creativity and cooperation. A true revolution for style centres and top brands, that can now work with one sole trusted partner able to answer to all their technical, creative and productive needs. Ask us for the impossible! ML Engraving continues its collaboration with the Italian design factory Alessi and the famous designer Marcel Wanders for the Dressed Collection. 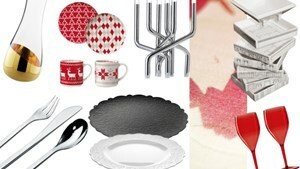 After the Tableware Collection, the Dressed Cookware Collection was displayed at Majson et Objet 2012. The pots and pans reflect the refined taste of the designer and the craftsmanship of Italian manufacturers. The result is an exclusive cooking set for people who consider cooking a matter of art. The Dressed Collection is available in Alessi stores and it has been included in the catalogue of prices of the supermarket chain Esselunga. 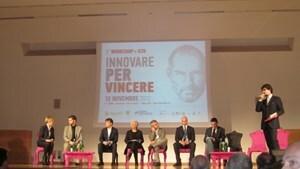 The workshop “Innovare per vincere” (Innovatin to win), organized by Promoserio, took place on Saturday, the 10th November. The Rector of the Bergamo University, Mr. Stefano Palear opened the workshop and delivered a very successful and impassioned speech about the theme “new economy”. Some local companies were awarded a Certificate of Merit as an attestation of their great deal of effort concerning innovation. ML Engraving was among these companies thanks to D.R.E. 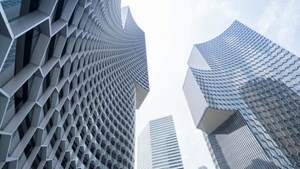 ® - Design Rendering Engineering. The exclusive laser technology of ML Engraving is ready for Euromold 2012, the international tradeshow for the world of moulds, scheduled 27th – 30th November 2012. ML Engraving is the leader in mold texturing with laser technology and is able to engrave 3D superficial textures with a great attention to every detail and an exclusive touch effect, that enhances the worth awareness of the plastic products. Laser technology is the new frontier of mold texturing. 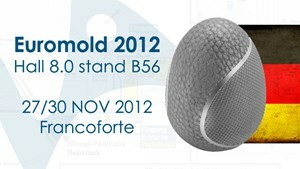 Find out more at Euromold 2012: ML Engraving – pavillon 8.0 stand B56. 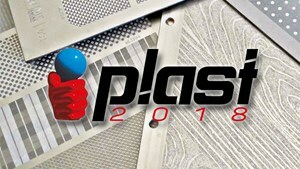 ML Engraving will take part to Plast2012, the International trade show for plastic and rubber industry, from 8th to 12th May. The Italian Company will present the Micro Laser Grains, the exclusive 0-depth engravings on moulds that enrich plastic and rubber objects. The Micro Laser Grains will be available in both ISO 1302 (N) and VDI (CH). Don’t miss this opportunity, come and visit ML Engraving booth: stand B57 pavillon 24. The success of the FabFork continues. This exclusive object, keeps on catching the eye of designers and design lovers. This limited edition (200 pieces) includes the engraved FabFork contained in a special plexiglass theca and the brochure that explains the development of the project. To crown it all, a red sealing wax with ML Engraving mark seals the white package. The FabFork is the emblematic object of Nuovo Cesello division, that is dedicated to the laser engraving of metal goods for limited editions or luxury editions in order to enrich the products with fine textures. 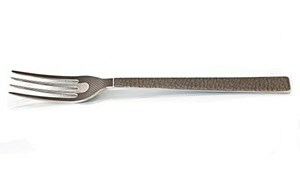 The FabFork by ML Engraving and Giovanni Scafuro represents the perfect union between creativity and technology. 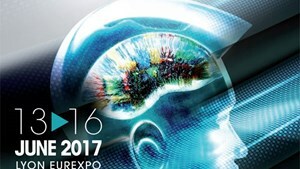 ML Engraving will take part as speaker to the new workshop of UCISAP dedicated to technological innovations. “Innovate to compete”: This is what UCISAP believes and the reason why the Association asked four Companies to come and explain their winning ideas. The appointment is due to 28th September and it’s open to everyone interested. ML Engraving invites its Clients to take this chance to be updated with all the technological innovations from moulds world: from manufacturing to texture engraving to moulding. The German magazine Euro Laser has published a brand new article dedicated to ML Engraving focusing on the recent collaboration agreement between the Italian Company and Standex International for the Automotive Industry. 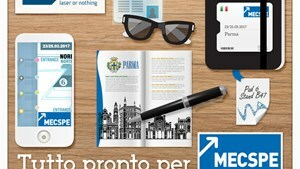 Here you can find the complete translation of the article, that begins with a question: is there something that connects Italians and Americans? The answer is: the passion for cars. Apart from this joke, the agreement between ML Engraving and Standex International represents the union the best technologies on the market for Automotive Design and 3D textures. Standex has decided to look to the future full of hope, alongside ML Engraving. ML Engraving becomes a Mad Company! 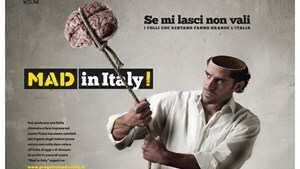 “MAD in Italy!” is a project that promotes and celebrates the most successful ideas of Italian Industries. To be Mad(e) in Italy means to bring creativity, high quality and a little madness to your job, but it also means to take the risk to settle your activity in Italy and see it grow day by day. The commitment in achieving the best results in laser engraving, its constant search for technological innovation and its competitiveness in the international market have earned ML Engraving the title of Mad Company, which makes the managers and the whole staff extremely proud of. Find out what makes ML Engraving a real Mad Company! 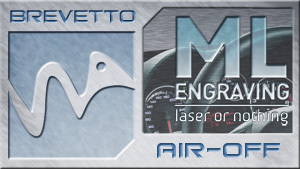 ML Engraving presents its brand new patent: Air-Off . This patent is a new application of D.R.E.® - Design Rendering Engineering in the world of thermoforming of plastic materials. The main problem of his moulding method consists on the correct evacuation of the air inside the die, in order to allow the perfect adherence of the plastic film to the inner walls of the mould. This patent is especially recommended for the Style Officies of the Automotive industry: by means of this device ML Engraving can easily engrave 3D textures on dies with complex geometries such as dashboards, bumpers or other car interiors. This application confirms the potentials of laser technology - eco-sustainable, flexible and efficient - and witnesses the importance of innovation and quality for ML Engraving. ML Engraving is always one step forward in laser photo-engraving. Laser or nothing! American debut for the new tableware collection of Alessi spa, signed by Marcel Wanders. ML Engraving has engraved the 18/10 stainless steel trays, coasters, plates and saucers. Alessi spa and Marcel Wanders set out their collaboration with a complete tableware line. The file rouge of the collection is represented by the refined draw impressed on the porcelain, the accessories and the trays. The baroque-styled draw actually dresses the pieces. Marcel Wanders has decided to display the new collection with a video-installation called “Dressed for the occasion” and recorded it in a famous Dutch restaurant. Read the news to discover more details about this dinner-event that celebrates Dressed. 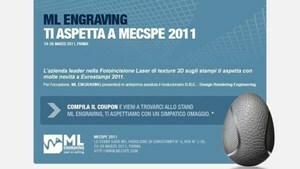 ML Engraving will take part to the 10th edition of MECSPE with news and previews from the laser photoengraving world. 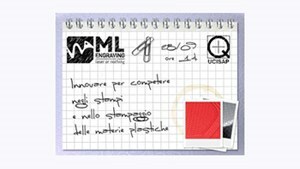 ML Engraving will attend the Eurostampi hall, dedicated to the projecting and production of moulds. Sign up on the coupon and come to receive our exclusive (and tasty) homage during the fair! The international exhibition for the specialized manufacturing industry gathers professional exhibitors divided into 8 trade shows: Eurostampi, Subfornitura, Automotive, Logistica, Control Italy, Motek Italy, Plastix Expo, Impianti Solari. MECSPE introduces the innovative exhibiting system with thematic avenues, squares of excellence and working isles to encourage the meeting between production technologies and industrial supply chains.